Small Ideas Big Opportunities : Investing in a Startup Isn’t as Dumb an Idea as People Say It Is. Investing in a Startup Isn’t as Dumb an Idea as People Say It Is. “Angel investing is stupid… don’t do it (even though I made 5X returns angel investing).” And I quote this from an actual conversation. If startup investing is so risky and so dangerous, why do you hear about so many Silicon Valley millionaire and billionaires getting rich doing it? And why are these typically the same people telling you not to bother getting involved? The answer is simple: they have learned to do it the right way, and they don’t really want anyone else infringing on their turf. Why is that? Well, it’s because they want to keep the secret intact. The secret to investing in startups the smart way. It’s always a risk, but there are ways to be smart about it. If you want to get involved in startup investing and actually generate out sized returns, you need to work at it. That means taking the time to educate yourself completely about this highly complex and variable asset class. You need to get up to speed on how to perform due diligence, how to evaluate a term sheet, how to understand different deal structures, and just to have an overall awareness of current trends and developments in the startup market. It can really be a full time job. This is why venture capitalists exist and are often handsomely paid. You need to develop relationships, help people who can do nothing for you, offer tons of free advice, make introductions, accept coffee meetings, read everything, and most importantly, get to know A LOT of people. During that time you will probably meet a few who are special. It’s almost like they vibrate at a higher frequency. Once you get used to knowing what to look for, you’ll get pretty good at spotting them right away. These are the folks you want to invest in. — Stellar founder. If you don’t feel something that excites you when you get to know the founders, they are probably not the right person to invest in. The reason you have that special feeling is because this person has some really unique skill, vision, or vibe that is seriously impressive, and you are subconsciously aware of it. Listen to your heart. — Attractive market. A market that has relatively few competitors, and in which the founder can establish some sort of competitive insulation or advantage is key. I shudder inside when I hear someone has invested in the 20th “me-too” company in a particular space. Recipe for disaster. — Traction. What has the team actually accomplished? If they are just coming to you with an idea on paper or a binder-thick business plan, run for the hills. 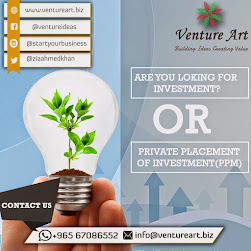 Invest-able companies are those who have proven they can acquire customers, provide value, and maybe even generate revenue. Your investment dollars are hopefully being used to fuel growth of a tested business model, not to make costly mistakes. These are just a few important tips on how to make smart startup investments that can be a great addition to your portfolio. And while I won’t tell you should should invest your child’s college funds in a startup portfolio — and you should realize you could lose all of your invested capital — if you are careful, diligent, and leverage the resources available it’s not outrageous to expect a decent return on your investment. The goal of startup investing is to build a portfolio and develop wealth over time through smart investing in people that you trust and believe in. There are a lot of resources out there that can help you get started. Startup investment groups and platforms, blogs, webinars, and masterclasses can point you in the right direction. And don’t forget, diversification is key to this strategy. You can’t just invest in one or two companies and hope they work out. It’s really hard to pick the winners, but with some careful attention, you can try to avoid the losers. And avoiding the losers is a key part of making sure that your diversified portfolio performs well.